Now that Guardians of the Galaxy Vol. 2 is out in the wild, and smashing through one box office record after another, it’s time to turn our attention to the next big Marvel release coming down the pipeline. That’d be Jon Watts’ Spider-Man: Homecoming, which marks the wall-crawler’s first solo outing in the MCU and after his superb debut in Captain America: Civil War, expectations for the film are understandably high. 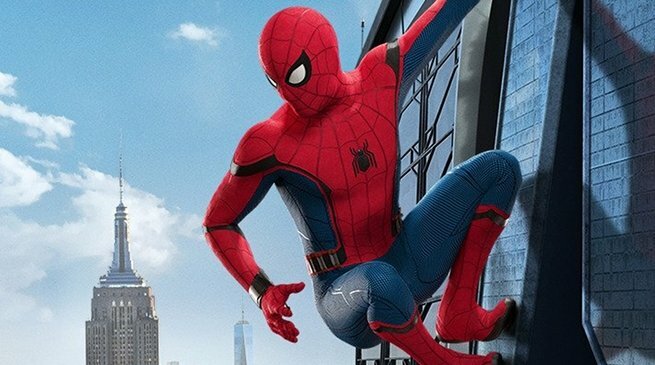 With just a few months to go now before Tom Holland’s take on the iconic hero swings into theatres (July 7th is the date you’ll want to mark down), the first wave of box office projections are starting to roll in, and they’re fairly strong. According to Box Office Pro, the reboot is looking at a $135 million opening weekend domestically, which would give it a total of about $325 million on this side of the pond. That’s a pretty impressive figure and one that will no doubt have studio execs grinning from ear to ear. To put things into perspective, a $135 million opening would make it the MCU’s sixth biggest debut and also the “largest non-sequel and non-Avengers opening in MCU history.” Compared to previous outings for Spidey, that number gives it the second biggest opening, behind only Spider-Man 3, which pulled in $151 million and followed on from the incredibly popular and wildly successful Spider-Man 2. Of course, we still are quite a ways away from Homecoming‘s release and all of this is subject to change, especially once those all important reviews start to surface, But as it stands, things are definitely looking good for the film and these projections bode very well for the character’s future in the Marvel Cinematic Universe – which is a bit uncertain at the moment. We know that Sony has lent Spidey to Marvel for the time being, but there’s been reports that after the next outing, they may take him back. Then again, we’ve also heard that Marvel is looking to reacquire the rights and may make a move to do so after Homecoming hits theatres. It’s all very up in the air at the moment and without any clear confirmation on what exactly’s going on behind doors, all we can do is speculate. If there’s one thing for certain, though, it’s that on July 7th, Spider-Man: Homecoming will bring about the Tom Holland-fronted spinoff that fans have been frothing for ever since the up-and-coming Brit stole Cap’s shield in Civil War. It’s considered to be the first true Peter Parker movie, what with the high school setting and younger lead, so it’ll be interesting to discover how fans take to Marvel’s new interpretation of the iconic hero.